Taste your way around the world over one weekend as Liverpool ONE is hosting a special Feast Weekend on June 30 and July 1, promising a wealth of wonderful world cuisine from Asian fusion to Mexican street food, French fancies to Caribbean classics. 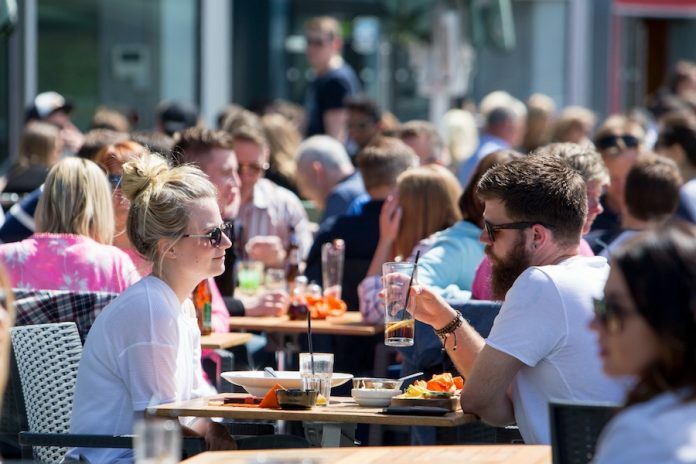 From 11am to 7pm each day as Liverpool ONE’s most popular restaurants are joined by independent vendors for an al fresco summer celebration. There will be plenty of free samples to enjoy on Chavasse Park and Paradise Street as the food fest takes over. Wagamama, Yee Rah, Yard & Coop and Côte Bistro will be among those offering tasty treats, while Gourmet Burger Kitchen will also give people the chance to ‘spin the wheel’ to win prizes. Food trucks, gazebos and even a tricycle will be serving delicious bites to try throughout the weekend. Visitors can enjoy a new addition to Liverpool ONE in the form of The Wanderer, a pop-up bar exclusive by The Club House. While there is also the chance to enjoy a spritz from Cosy Club’s Aperol bar. And to finish, why not visit SlicedIce and enjoy customised ice cream rolled on the spot? There will also be plenty of entertainment with live music in Chavasse Park and Paradise Street, featuring bands including Atomic Brass, The Restrosettes and Tom Seals. To find out more, visit www.liverpool-one.com/events/feast-weekend for more information or follow @Liverpool_ONE on twitter for all the latest news and updates.